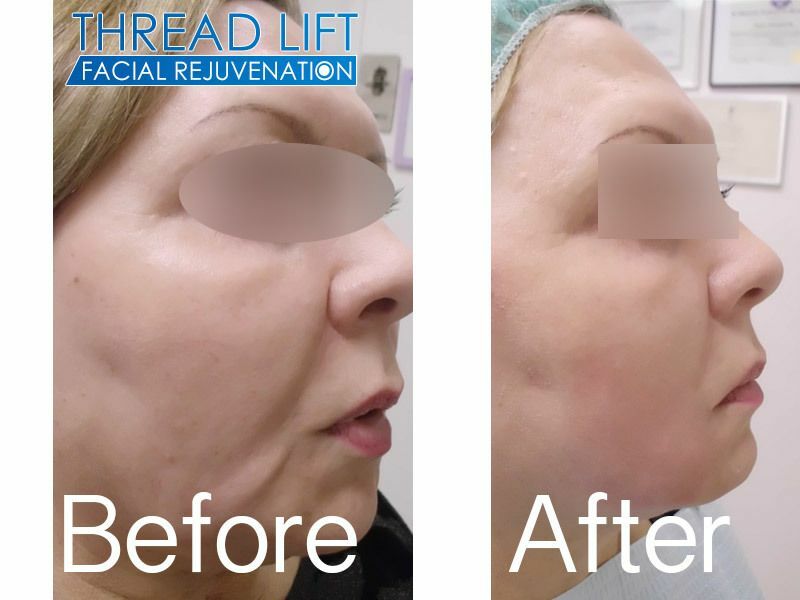 Nova Thread Lift in Palm Beach – The Thread Face Lift! New Radiance Cosmetic Center Palm Beach now offers the FDA approved Nova PDO Thread Lift for facial rejuvenation with our expert injector Jessica Packwood PAC. The thread lift uses tiny surgical PDO threads to gently sculpt and lift the face. Call us today at (561) 776-0116 to schedule your free consultation. Facelift results without the downtime! Learn how The Nova Thread Lift can rejuvenate your face to make you look years younger in just an hour. Combined with Fillers, results are no less than stunning facial rejuvenation. Pricing for thread lifts is based on how many threads you need, many centers will charge you more just to have this procedure done. We want this to be an affordable alternative to a Face Lift so call 561-776-0116 to schedule your free consultation with our expert injectors! YOUR ULTRA THREAD LIFT QUESTIONS, ANSWERED. The Nova Thread PDO thread lift is one of the most exciting cosmetic treatments available, because it provides face-lift like results* and enhances the effects of dermal fillers without the downtime of traditional surgery. It works by using surgical threads to lift and contour the mid & lower face this will allow you to pull up the face. The beauty of this 1 hour procedure is that it allows your injector to use more filler for a younger appearance and yet still give you that natural look*. Is there any downtime or recovery time? There is no downtime*. You can go back to normal activities right away. As with other injectables there may be some soreness for up to 2 weeks while your face builds up new collagen. Yes, the entire procedure is performed using a syringe to inject the surgical threads and is performed comfortably in about an hour. During your consultation we will let you know if you are an ideal candidate for this procedure. This treatment is great for individuals of many different ages and levels of skin laxity. 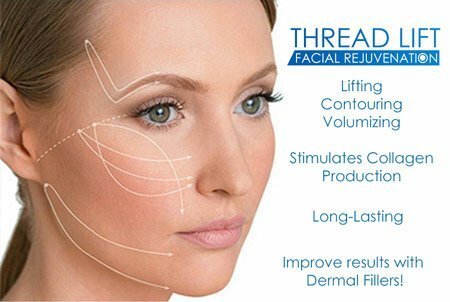 We provide free consultations for thread lifts at New Radiance Cosmetic Center Palm Beach, and recommend you schedule a consultation so that our expert injectors can help you with all your thread lift questions. How does thread lift work in conjunction with Dermal Fillers? The Thread lift can be performed during the same appointment as dermal fillers. The treatments compliment eachother and you are able to use less filler after a Thread Lift to obtain better results. * Ask for a free consultation with our expert injectors for more information.